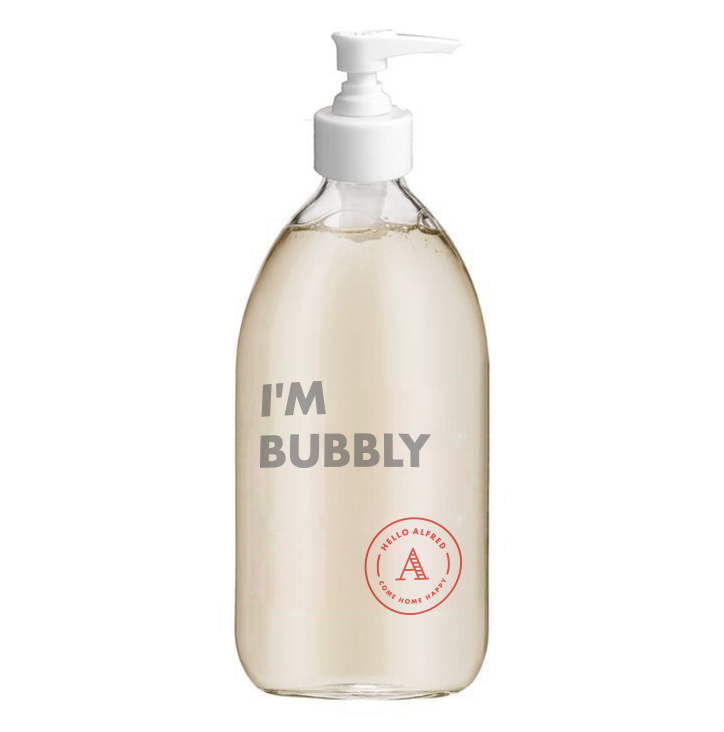 Please notify me when "I'm Bubbly Soap Dispenser" is available for sale. Your first stop when you get home. This soap dispenser invites you to hold a small hand celebration. Handsome enough to earn its counter space, it’s meant for your kitchen and bathroom. Life’s complicated enough without a long list of ingredients or different soaps for hands and dishes. One soap, one bottle. Come home and wash that subway away. Ingredients: Water, organic coconut oil, potassium hydroxide, organic palm kernel oil, organic olive oil, organic hemp oil, organic jojoba oil, natural almond fragrance, citric acid, tocopherol.